Ever wonder how the great flirts do it? How they manage to attract a man's attention, even in the distracting setting of a crowded bar? And then, once they've got it, how they keep him focused? The people standing behind the bar watch this game play out night after night. Now, two of the best in the business, Dushan Zaric and Jason Kosmas, are ready to spill all the secrets of the hookup game. In this groundbreaking book, they tell women everything they need to know to pick up men (the right men). A good bartender doesn't just know how to mix drinks -- he knows how to read people, too. Dushan and Jason have witnessed every kind of hookup (and screwup) you can imagine. They know who is going to send over a drink before he even thinks of it. They can tell if a man's a bully, a loser, or gay as soon as he walks in the door. Most of all, they know what women have to do to make guys want to get their number. Drawing on their own observations as well as surveys of their patrons, Dushan and Jason show women what men are really thinking and how to use that information to their advantage. They provide step-by-step advice on everything from how to approach a guy to how to tell if he's worth it, and how to make an exit if he's not. 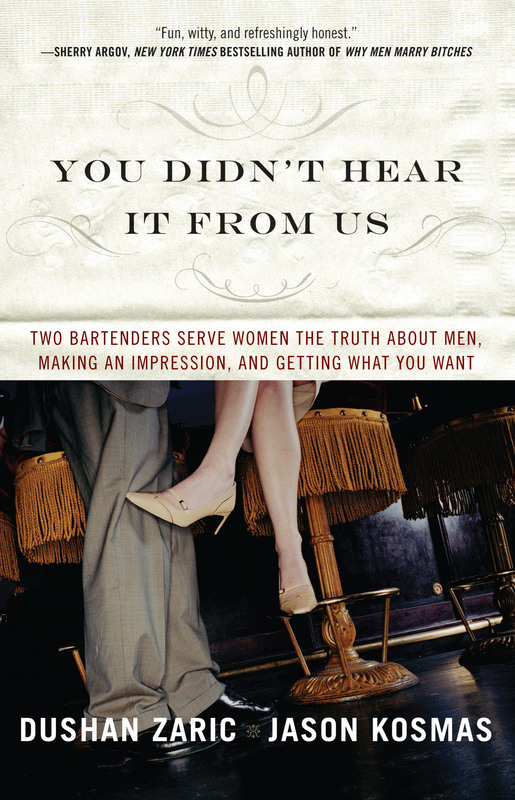 Filled with street smarts, bar lore, and, of course, delicious cocktail recipes, You Didn't Hear It from Us is ultimately about more than dating -- it's about learning how to present the best parts of yourself, thus making the world your martini glass. 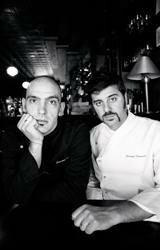 Dushan Zaric and Jason Kosmas have almost thirty years of bartending experience between them. They are the owners of Employees Only, the hottest classic cocktail bar in Manhattan's West Village, and the founders of Cocktail Conceptions, a consulting company whose high-profile clients include the Westin Hotels & Resorts, Absolut, and Moët Hennessy. Please visit their website at www.youdidnthearitfromus.com.